You train daily. So when it comes to picking out formal wear for that special event, suits for an athletic body type should be on the top of your list. Let your hard work show! The key to finding the best suit for your body shape is choosing a flattering cut, picking fabrics that accentuate your muscle tone, and highlighting your physique with accessories. Boxy, draping, cookie-cutter suits from off the rack are out. 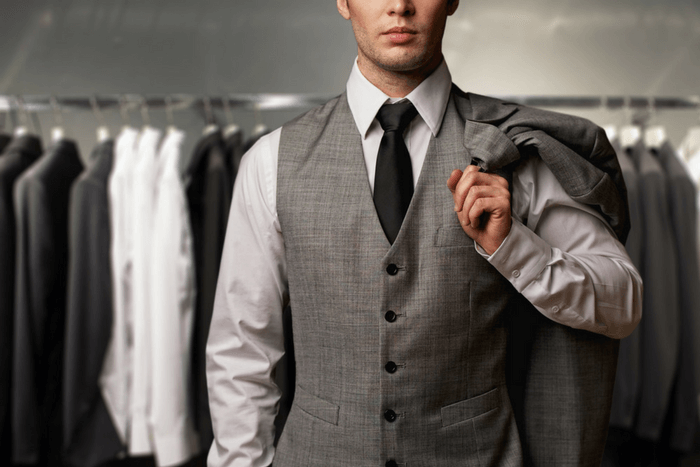 Instead, share your measurements with your formal wear professional, so they can fit you to your suit of choice. A proper fit is crucial for athletes who want collars, sleeves, and waistbands to fit properly to their muscular proportions. 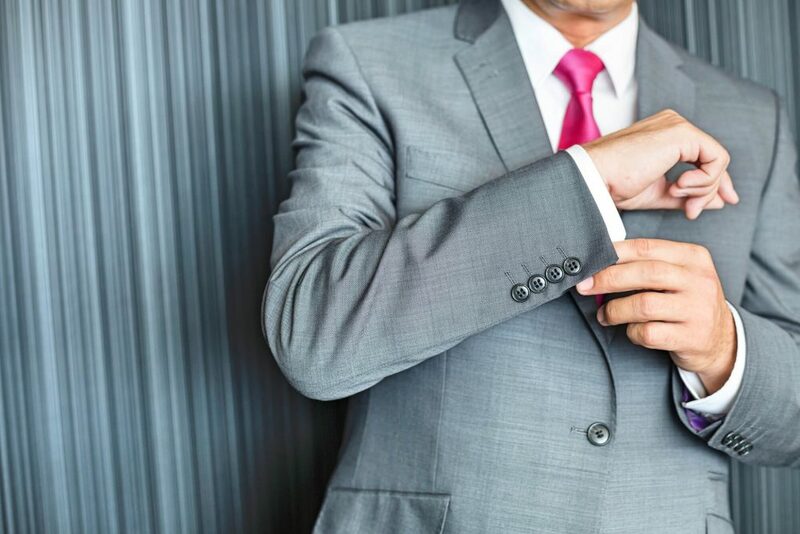 As you begin to browse suit styles, take extra time looking at slim fit suits and ultra slim fit suits featuring flat-front (no pleats) or slim fit pants. Jackets with a shawl lapel and three or more buttons help emphasis or add height. To downplay height, try a classic notch or peak lapel with a one button closure. These styles can be tailored to accentuate or play down any aspect of your body shape. Choose medium to lightweight fabrics. We love linen, cotton, silk, polyester, and crushed velvet that softly flow over the skin without bunching. These subtly accentuate an athletic build and allow for fluid movements. If the weather is cool, layer your look with a formal jacket and overcoat, then shed the extra garments if you get warm dancing or visiting with others at the event. Once you have a perfectly tailored outfit put together, highlight your style and form with a few eye-catching accessories. In addition to a pocket square and boutonniere, consider these add-ons. Cap off muscular legs with sleek Oxfords or Dunbars. Draw attention to a chiseled chest with suspenders or an eye-catching bow tie. Bring attention to strong hands with shimmering cufflinks. Make a bold, formal statement with a polished walking cane. 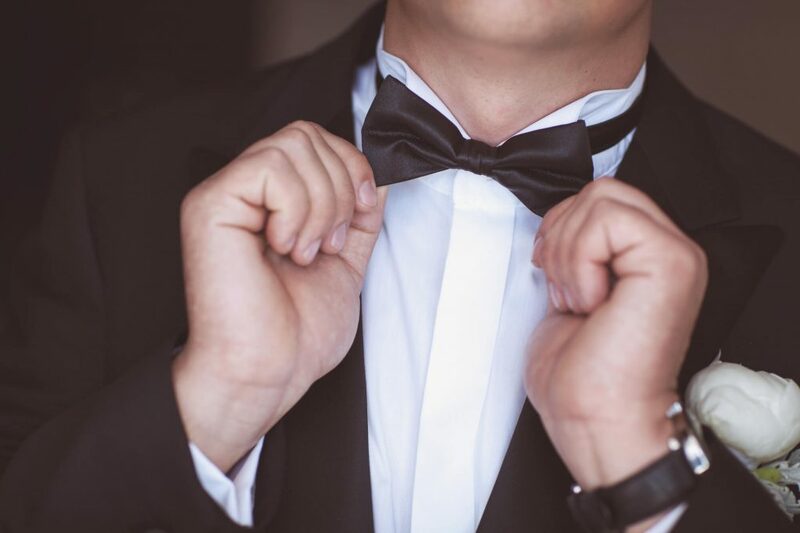 Are you ready to put together a formal wear look for your special event? Browse the Jim’s Formal Wear website for ideas to create the perfect style for your body shape.